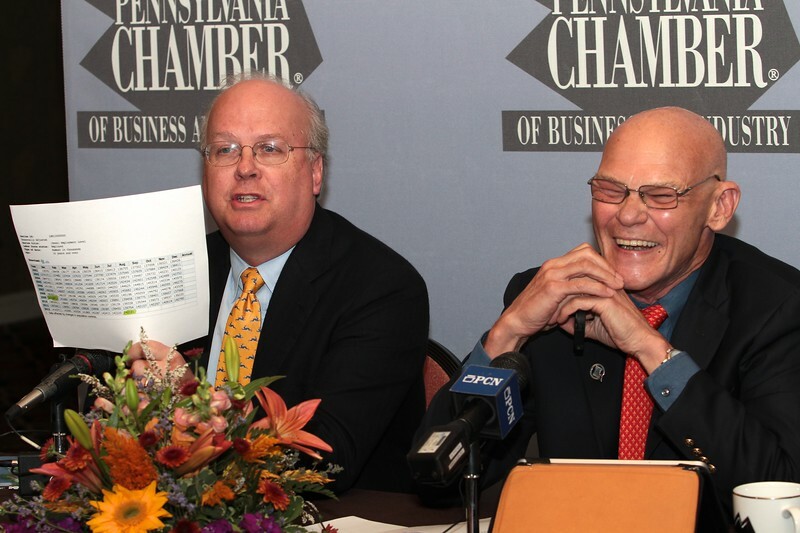 Karl Rove (L) and James Carville (R). PA Chamber of Business and Industry. October 2012.